Atlanta’s fastest rising star Lil Baby has announced his headlining “The New Generation Tour” in support of his latest mixtape Street Gossip, out now on Quality Control Music/Motown Records/Capitol Records/Wolfpack Global. Listen HERE. The tour kicks off on March 18th and will travel across America with stops at Terminal 5 in New York, The Riviera in Chicago, The Warfield in San Francisco, The Coca Cola Roxy in Baby’s hometown Atlanta and many more, with support from Quality Control label-mates City Girls, Jordan Hollywood and Marlo, LA rapper Blueface, Rylo Rodriguez, and 42Dugg. Tickets are on sale HERE starting this Friday, February 1st. 2018 Rookie-of-the-Year Lil Baby has had an all-star rise. In just a year and a half he has exploded onto the scene with his six solo projects including his highest-charting mixtape, Street Gossip, which debuted at #2 on the Billboard Top 200 chart, and the critically-acclaimed debut album Harder Than Ever, which debuted at #3 and featured the RIAA Certified Platinum smash hit “Yes Indeed” featuring Drake. This year he also collaborated with fellow Atlanta native Gunna on their stellar joint mixtape “Drip Harder” which also debuted at #3 and boasted the 3-time RIAA Certified Platinum single “Drip Too Hard” which held #1 at Urban Radio for three weeks in a row. Just last night he took the stage with Yo Gotti to perform their new song “Put a Date On It” live on The Tonight Show Starring Jimmy Fallon, his second TV performance in the past half a year. 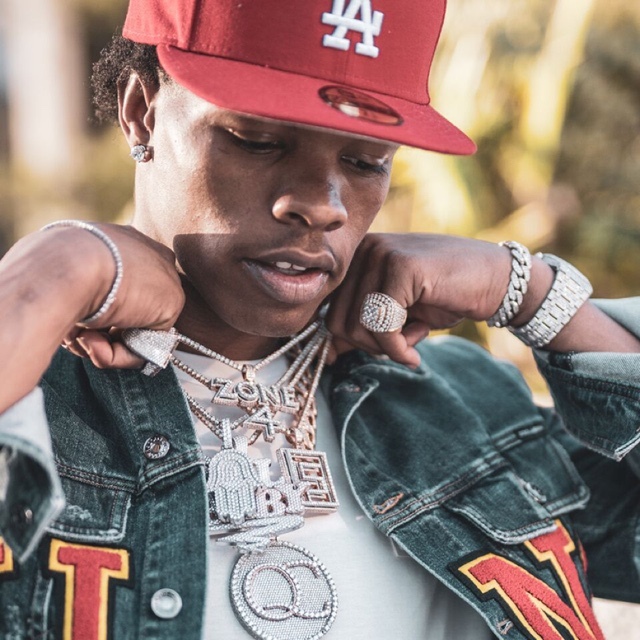 During his rapid rise in music, Lil Baby has racked up more than a BILLION streams across all platforms and recapped his compelling story on film in his ‘Preacherman’ documentary. He also joined Drake as a special guest on the ‘Aubrey and the Three Migos Tour’ and made his debut TV performance on Jimmy Kimmel Live!performing “Yes Indeed.” After performing and being nominated for Best New Hip Hop Artist at last year’s BET Hip-Hop Awards, signing a deal with Reebok, and multiple chart-dominating projects and singles, there is no question that Lil Baby is one of the leaders of this generation in hip-hop. LISTEN TO STREET GOSSIP HERE. This entry was posted in Fashion + Music and tagged 360 Magazine, 42Dugg, Atlanta, BET, billboard, Chicago, Drake, drip harder, drip too hard, hip hop, Jordan Hollywood and Marlo, LA rapper Blueface, Lil Baby, migos, New York, Noisey, pop culture, put a date on it, quality control, rap, Rolling Stone, Rylo Rodriguez, San Francisco, singer, street gossip, Tara McDonough, Terminal 5, The Coca Cola Roxy, The Fader, the new generation tour, The Riviera, The Warfield, tour, Vaughn Lowery, yes indeed, City Girls on January 30, 2019 by wp360mag. 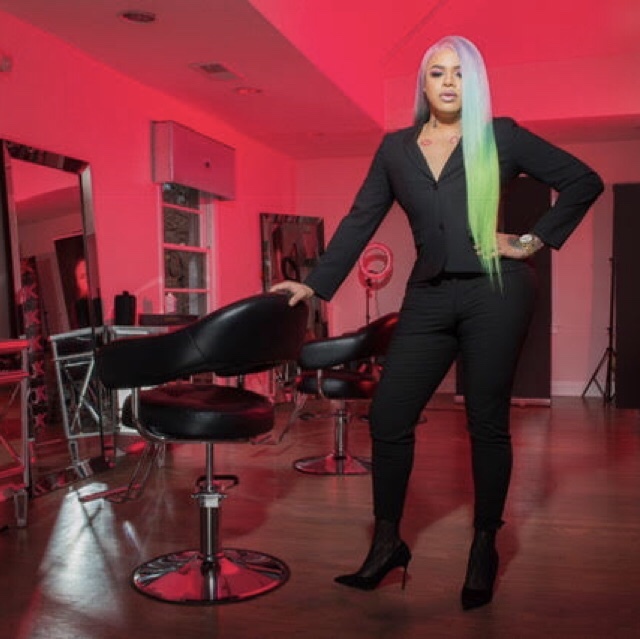 BET Networks announces premiere of its original digital series “WIG OUT” starring celebrity hairstylist Cliff Vmir. The eight-episode series follows Cliff and his crew in Atlanta, the “Hair Capital,” as he’s hungrier than ever to continue to take his “Hair Empire” to the next level. From re-launching his famous “hair tours,” to opening a brick and mortar home base for Cliff in Atlanta to expanding his brand, Cliff has gained a new perspective and is feeling the pressure to make some needed changes in his life. All the while, Cliff is secretly planning his entrance into the rap game and all is at stake. As Cliff struggles with personal issues along the way, he also realizes he’s made some amazing connections that will help him rise to the top of hair and rap royalty, but how easy will it be for him to break in? Tune in to the premiere episode of “WIG OUT” Sunday, January 13 across all BET Digital platforms. Tammy Rivera, Marlo Hampton, Lil Mo, Shekinah and more to make cameo appearance during the series. Watch and post the “WIG OUT” first-look trailer HERE. “WIG OUT” is Executive Produced by Kristin Shae Pisarcik for Minted Media, and Matthew C. Mills and Chris Vivion for Spacestation. Marni Rothman Ellis Directed, also for Spacestation. Producers include Cliff “Vmir” Watson, Eboyné Jackson, and Monique Jackson. 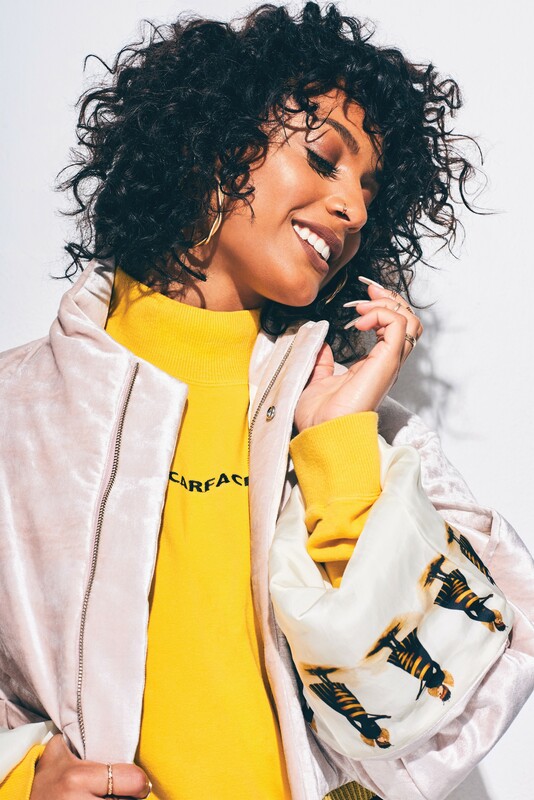 This entry was posted in Feature and tagged 360, 360 Magazine, BET, bet network, Cliff Vmir, fashion, Hair, Hair Stylist, Lil Mo, Madison Smushkevich, Marlo Hampton, reality, series, Shekinah, Tammy Rivera, Vaughn Lowery, Wig Out. on January 12, 2019 by wp360mag. 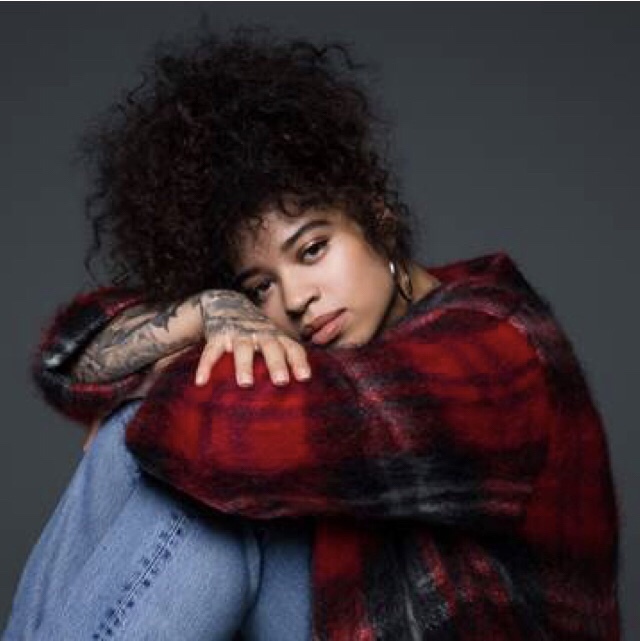 This entry was posted in Uncategorized and tagged 24k magic world tour, 360, 360 Magazine, apple music, BET, Boo’d Up, Boo’d up tour, Bruno Mars, Ella mai, Ellasodes, Essence Festival, iTunes, Madison Smushkevich, r&b, soundcloud, spotify, tour, UK, Vaughn Lowery, vevo, YouTube on August 14, 2018 by wp360mag. This entry was posted in Fashion + Music and tagged 360 Magazine, Aaliyah, artist, artistic, BET, dance, DaniLeigh, Debut, Dominican, Drake, Florida, Global Society, Hannah Audrey Lowe, HBO, hip hop, Insecure, kap g, Latina, latino, Los Angeles, Mexican, Mexico, missy Elliott, mtv, music, music video, Musiq Soulchild, pop culture, Prince, r&b, Revolt, SING, South Florida, summer, Summer With Friends, Vaughn Lowery, YouTube on July 30, 2018 by wp360mag. [Los Angeles, CA, June 23] Friday, June 24, Culture Creators gathered black culture’s most impactful and inspiring voices under one roof for the third annual Innovators & Leaders Awards Brunch. This year, the event took over The Beverly Hilton Hotel in Beverly Hills and received the support of sponsors such as Remy Martin, The Mane Choice, Morgan Stanley, and Beats by Dre. 300+ guests witnessed the honorees receive their respective awards and share stories, memories, and gratitude. 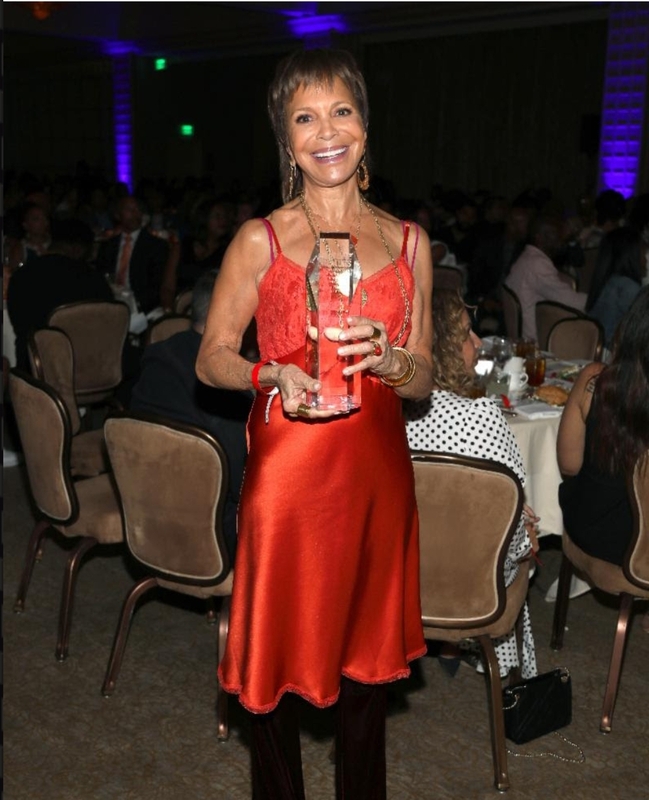 Bringing the house to its feet in a roar of applause, Sylvia Rhone garnered the Culture Creators Icon Award. 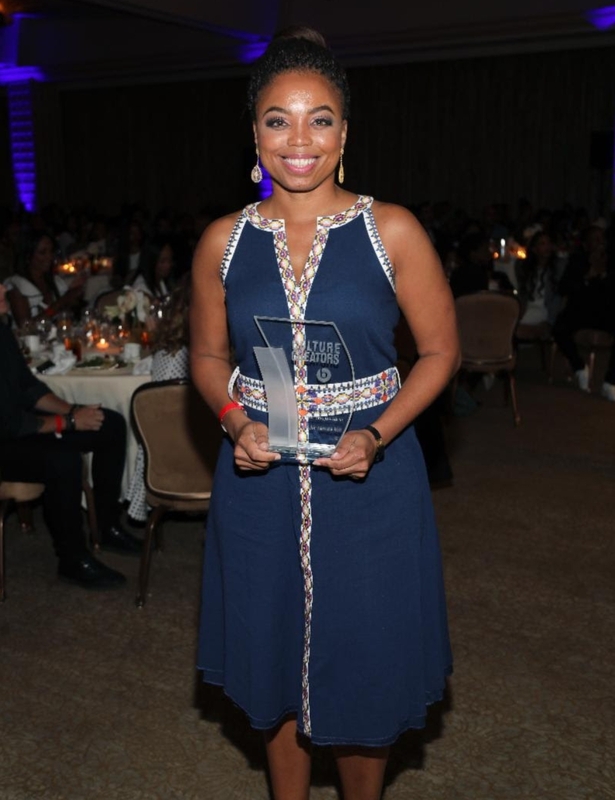 Other recipients included Jemele Hill, who received the Defiance Award, Kenya Barris, Jana Fleishman, Tunji Balogun, Shawn Gee, and more. Celebrity guests included Will.i.am, DJ Khaled, Tank, Andre Harrell, Miles Brown, Essence Atkins, Luke James, Waka Flocka, and more. Once again, Culture Creators magnified the resonance of Black Culture’s Innovators & Leaders and kicked off BET weekend in uplifting fashion. Culture Creators (CC) is an organization made up of the key figures from music, technology, film, television, fashion, and much more. Culture Creators always aims to celebrate the accomplishments of minorities in various industries and how African American culture continues to thrive and impact popular culture. 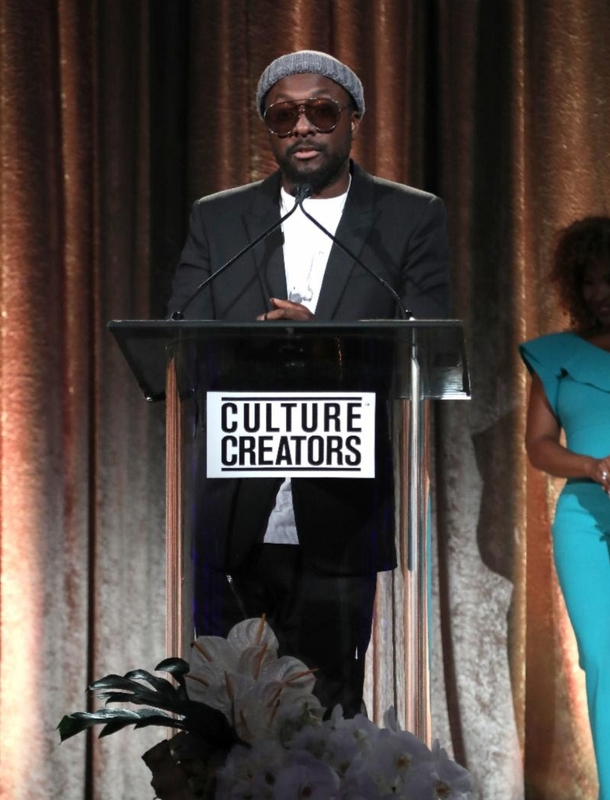 As part of its programming for the 2016 GRAMMY weekend, Culture Creators hosted a soiree that attracted the likes of Diplo, Chris Rock, Skrillex, Lorde, Fatima Robinson, Cory Gamble, SZA, KeKe Palmer, and many more important Hollywood trendsetters and pioneers. Culture Creators also partnered with Howard University to provide executive leadership and recruitment to aid in the diversity and inclusion recruitment of students for mass merchant retailers, advertising agencies and athletic apparel companies. 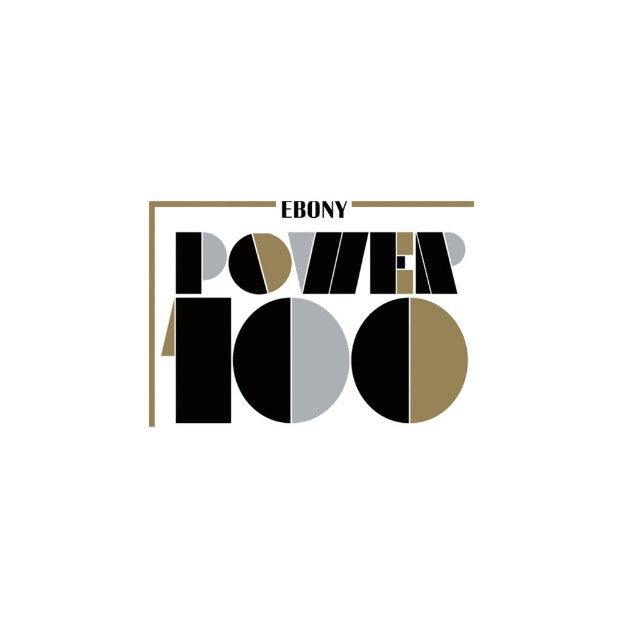 This entry was posted in Uncategorized and tagged 360 Magazine, advertising agencies, African American culture, Andre Harrell, apparel, athletic, Atrin Yazdani-Biuki, beats by dre, BET, Beverly hills, Beverly Hilton Hotel, Black Culture's Innovators & Leaders, Brea Stinson, Carlos Fleming, CC, Celebrity, Charles D. King, Chris Rock, Cory Gamble, Culture Creators, Culture Creators Icon Award, Defiance Award, diplo, DJ Khaled, essence Atkins, fashion, Fatima Robinson, film, getty images, GRAMMY weekend, hollywood, Howard University, Jana Fleishman, Jason Bolden, Jemele Hill, Keke Palmer, Kenya Barris, Kristi Henderson, Lauren Wesley Wilson, LISNR, Lorde, Luke James, merchant, Miles Brown, music, pop culture, popular culture, Rashaun Williams, retailers, Roc Nation, Rodney Williams, Shawn Gee, Skrillex, Sylvia Rhone, sza, Tank, technology, Television, trendsetters, Tunji Balogun, Vaughn Lowery, Waka flocka, will.i.am, WME on June 24, 2018 by wp360mag. (June 22, 2018 – New York, NY) R&B superstar, dancer/choreographer, actress, model, and Harlem native Teyana Taylor releases her highly anticipated sophomore album, K.T.S.E. today via G.O.O.D. Music/Def Jam Recordings. Produced entirely by Kanye West, the seven-track album is the fifth and final installment in the historic weekly series of G.O.O.D. Music/Def Jam releases this month. K.T.S.E.– Keep That Same Energy – is the long-awaited follow-up to 2014’s VII, Teyana’s G.O.O.D. Music/Def Jam debut album. VII’s top 10 R&B/Hip-Hop single, “Maybe” featuring Yo Gotti and Pusha T has collected over 16 million YouTube views to date. Teyana Taylor is one of the most versatile entertainers of her generation. As a respected recording artist, dancer, choreographer, fitness aficionado, actress and model, she has made waves across a variety of fields. Her Vh1 reality show Teyana & Iman was highly successful, with the finale coming in as the #1 watched show on cable television on a Monday night in the 9pm time slot. Teyana opened Junie Bee’s Nail Salon, a 90’s inspired salon in Harlem in an exclusive partnership with OPI Products. 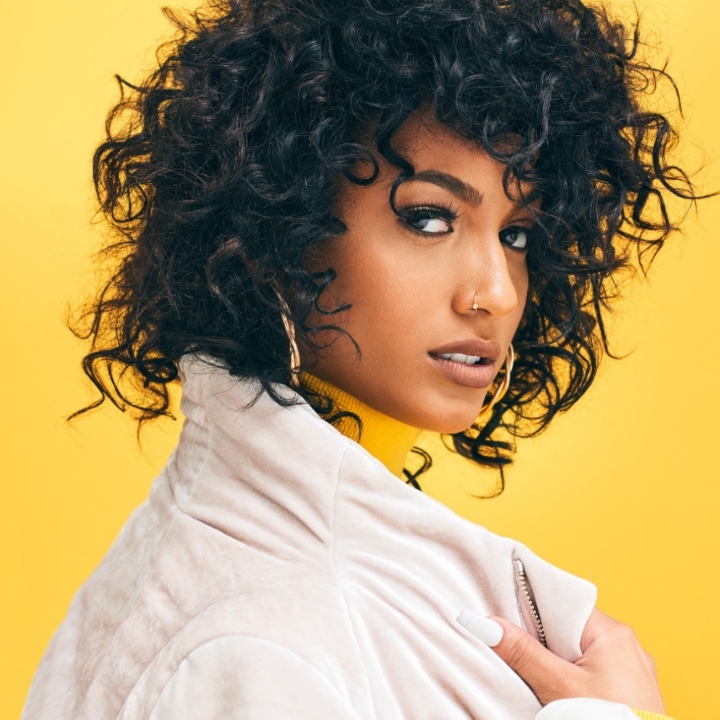 Coming up, she will star alongside Blair Underwood and recording artists French Montana in the Netflix film The Afterparty. She will also star in BET’s scripted series, Hit The Floor, premiering on July 10, with upcoming movie The Trap with Mike Epps and T.I. following. Her collection with GCDS launched recently in addition to her ongoing partnership with her own Reebok shoe line. Her recent Pretty Little things x Karl Kani collaboration sold out in a whopping 19 minutes. Teyana’s dance performance in Kanye West’s “Fade” music video became a global viral sensation, attracting 100 million + YouTube views, and won the 2017 MTV VMA for “Best Choreography”. This entry was posted in Design and tagged 141 Street, 360 Magazine, artist, Atrin Yazdani-Biuki, BET, Blair Underwood, choreographer, choreography, collaboration, dancer, film, French Montana, Harlem, Hit The Floor, hollywood, Junie Bee's Nail Salon, K.T.S.E., Kanye West Fade, Karl Kani, kayne west, Lenox Avenue, Los Angeles, Mike Epps, movie, MTV VMA, Netflix, New York, pop culture, Pretty Little things, Pusha T, Reebok, Teyana, teyana Taylor, The Afterparty, The Trap, Universal Studios, Vaughn Lowery, Yo Gotti, Cali Thornhill DeWitt on June 23, 2018 by wp360mag. NAACP-nominated Lead Actor Woody McClain is reprising his role as Bobby Brown in BET’s The Bobby Brown Story, which follows Brown through highs and lows both personal and professional as he settles into new roles as a husband and father. The direct sequel to The New Edition Story is set to premiere in September as a two part television event. Woody was recently nominated for Outstanding Actor at the NAACP Image Awards for his depiction of Bobby Brown in The New Edition Story, while the show took home the award for Outstanding Limited Series. The New Edition Story pulled record ratings, attracting 29 million total viewers during premiere week, making it the network’s highest-rated and most-watched telecasts since 2012. Soon after the premiere of The Bobby Brown Story, he will be seen on the big screen in Canal Street playing “MayMay,” set to release in Fall 2018. His recent projects also include a role in USA’s series “Unsolved,” a scripted true crime series based on the murder investigations of Tupac Shakur and Biggie Smalls. 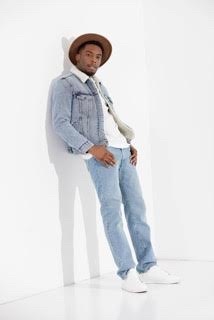 Woody McClain was born in Charleston, South Carolina, and raised in Jacksonville, Florida before moving to Los Angeles in 2012 to pursue a career as a professional dancer. He has since performed with numerous artists including Chris Brown and Fifth Harmony. After excelling in his career as a professional dancer, he began creating original social media content and noticed very quickly that he had a gift for making people laugh. In fact, Woody signed with Kevin Hart’s production company, ‘HartBeat Digital’, in December 2015 to produce content after his version of Hart’s “Permission to Cuss” skit went viral and caught Hart’s attention. Alongside his acting, he has teamed up with Kevin Hart for a streaming series in which he plays Kevin, based on Hart’s most iconic stories and stand-up bits available via Hart’s streaming video service, “Laugh Out Loud”. 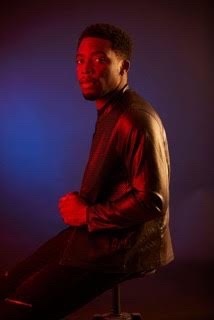 McClain is the creator, Executive Producer and star of Stories With Kev, with Hart serving as Executive Producer. This entry was posted in Uncategorized and tagged 360, 360 Magazine, BET, Biggie Smalls, Bobby Brown, canal street, Chris Brown, Chris Phan, executive producer, Fifth Harmony, Florida, Global Society, Hannah Audrey Lowe, hartbeat digital, highest rated, image awards, laugh out loud, Los Angeles, may may, maymay, most watched telecast, murder investigations, NAACP, NAACP IMAGE AWARDS, outstanding actor, outstanding limited series, permission to cuss, professional dancer, September, south carolina, stories with kev, the new edition story, true crime series, Tupac Shakur, unsolved, Vaughn Lowery, woody mcclain on June 11, 2018 by wp360mag. 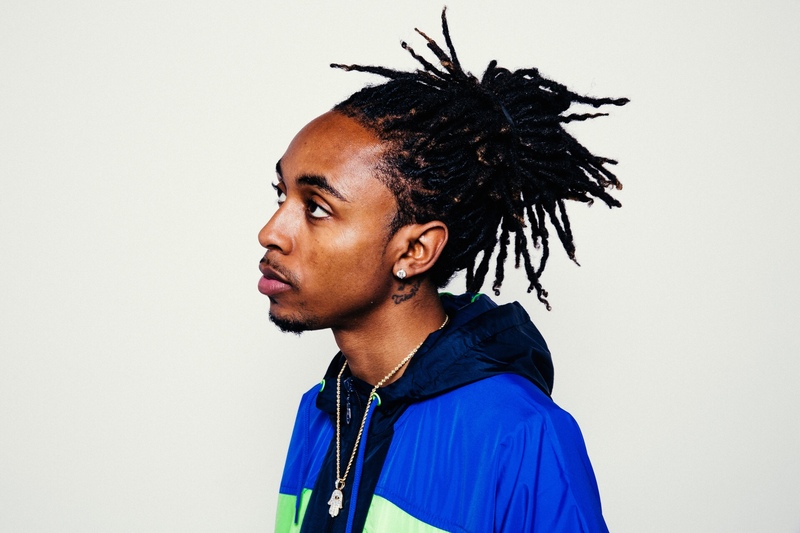 [May 18, 2018] After the release of his bubbling new video “Ocean Ft. Jacquees,” TK Kravitz is back with his latest single “Mile Away,” which premiered via Rap-Up. Keeping with his undeniably catchy hooks, TK delivers a mid-tempo jam with reggae-infused production. “Mile Away” is bound to be the summer soundtrack to everyone’s BBQs and day-parties. Equipped with effortless melodies and clever lyricism, TK Kravitz has definitely built a strong foundation for himself in the music industry. His record “Ocean” featuring R&B phenomenon Jacquees was the #1 most added song at radio last week and his 2017 single, “Space ft. Sexton” reached #8 at US Urban radio. His unique sound and ability to brilliantly delve into R&B and hip-hop has garnered TK the attention of Complex, The Fader, Billboard, Hot New Hip-Hop, Singersroom, XXL, BET, The Source, and countless other publications. His incredible penmanship has allowed him to collaborate with everyone from Meek Mill, Ty Dolla Sign to YFN Lucci. Fans will be excited to hear that his second project, 2.0 is just around the corner! Take a listen to “Mile Away” below and be on the look out for the official music video next w.
This entry was posted in Uncategorized and tagged 360 Magazine, BET, billboard, Dylan Worcel, Global Society, Hannah Lowe, jacquees, kravitz, Miles Away, music, new music, pop culture, r&b, reggae, TK Kravitz, Urban radio, Vaughn Lowery on May 18, 2018 by wp360mag.